How much is Ogharapoly School Fees for this 2018/2019 Session Both ND and HND? This is to inform prospective Newly admitted and Current Students of Delta State Polytechnic Oghara (DESPO), that the authorities of the Delta State Polytechnic Oghara, has officially released School Fees for all ND and HND courses offered by the Polytechnic for the 2018/2019 academic session. 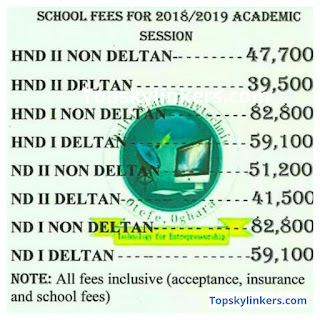 HND II SCHOOL FEES NON DELTAN. 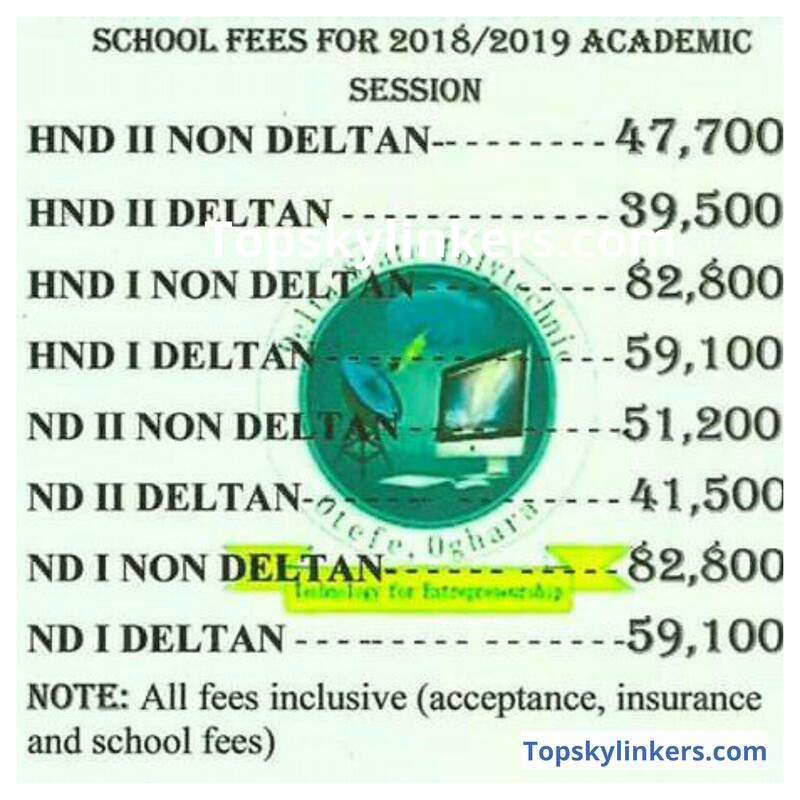 HND I SCHOOL FEES NON DELTAN. ND II SCHOOL FEES NON DELTAN. ND I SCHOOL FEES NON DELTAN. All Applicants/Students should Note that the fees is both SCHOOL FEE/ACCEPTANCE FEE and INSURANCE FEE Combine together according to the School management. HND II SCHOOL FEES DELTAN. HND I SCHOOL FEES DELTAN. ND II SCHOOL FEES DELTAN. ND I SCHOOL FEES DELTAN. Payments are made ONLINE, Kindly log in with your Applicant ID and Password to make payment ONLINE. (For those that are Admitted only). Kindly drop your complain in the comment box ??? ?